The Rijksmuseum in Amsterdam will mark 2019 as the “Year of Rembrandt” with a special exhibition of all the museum’s Rembrandt works. Special Rembrandt exhibitions in Amsterdam in 2019 will mark the 350th anniversary of Rembrandt van Rijn’s death. The highlight is undoubtedly the Alle Rembrandts (All the Rembrandts) exhibition in the Rijksmuseum from 15 February to 10 June 2019. This exhibition will for the first time ever exhibit together the Rijksmuseum entire collection of Rembrandt works including all 22 paintings, 60 drawings and more than 300 of the best Rembrandt prints. The Night Watch will be restored in situ from July 2019. Towards year-end, the Rembrandt – Velazquez exhibition (11 October 2019 to 19 January 2020) will showcase the paintings of the two great 17th century masters. Time-slot tickets are essential to enter the special exhibition. 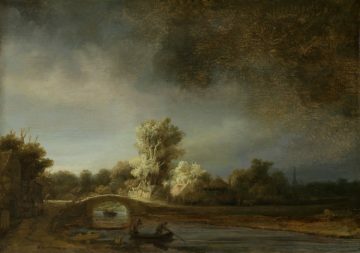 As well as holding the world’s largest collection of Rembrandt paintings – including The Night Watch, the portraits of Marten Soolmans and Oopjen Coppit, The Jewish Bride – the Rijksmuseum collection offers the world’s most comprehensive and representative overview of Rembrandt’s painting oeuvre. Given the extreme rarity of many of these delicate drawings and prints, All the Rembrandts of the Rijksmuseum offers a once-in-a-lifetime opportunity to glean an unparalleled perspective on Rembrandt the artist, the human, the storyteller, the innovator. 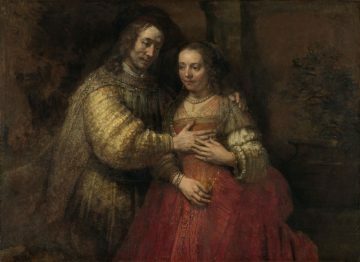 The recent acquisition of the spectacular marriage portraits of Marten Soolmans and Oopjen Coppit means the Rijksmuseum’s collection of Rembrandt paintings is now the largest in the world. With its total of 22 works, from the early Self-Portrait as a Young Man to the later Self-Portrait as the Apostle Paul, the collection forms a coherent overview of his entire life. 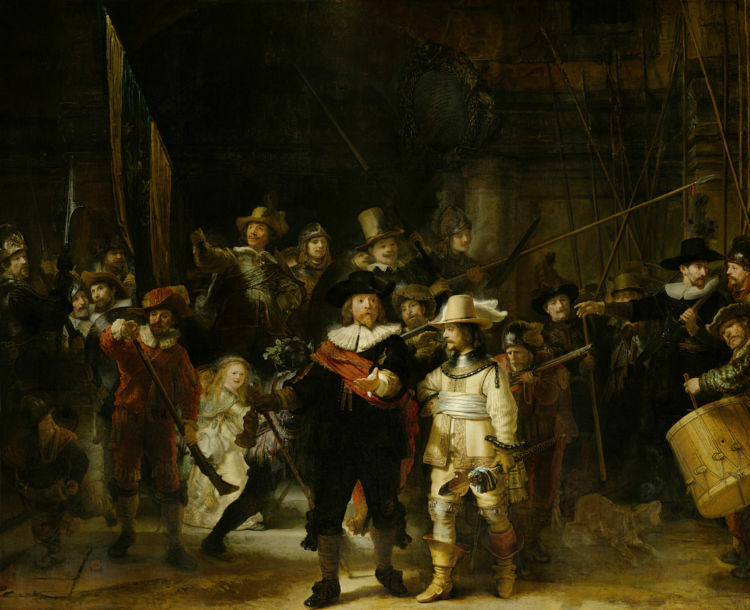 The highlight of the collection of Rembrandt’s paintings is his greatest masterpiece, The Night Watch. Following this exhibition, this large work will be restored in situ. 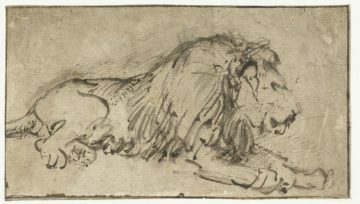 The Rijksmuseum’s comprehensive collection of drawings encompasses all Rembrandt’s periods and styles, and includes numerous exceptional drawings from his early period. 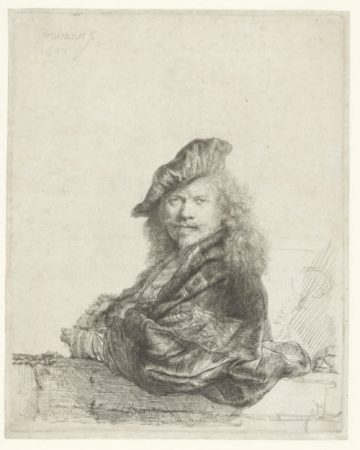 The Rijksmuseum will show only the most beautiful and finest of Rembrandt’s 1300 prints. The 17th-century prints are exceedingly fragile and thus rarely displayed in public. All the Rembrandts of the Rijksmuseum (15 February to 10 June 2019) will explore different aspects of Rembrandt’s life and work through a number of themes. 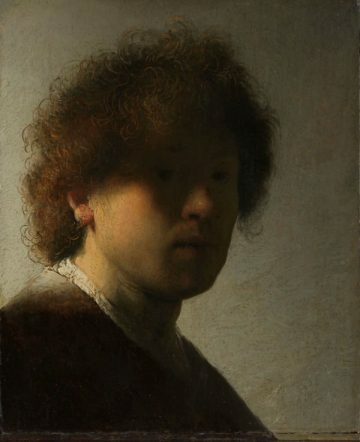 The first section presents the milestones of his career as a young artist; when Rembrandt looks at himself in the mirror, the viewer looks over his shoulder. A close examination of Rembrandt’s many self-portraits reveals his growth as an artist of incomparable talent. The second section of the exhibition focuses on Rembrandt’s surroundings and the people in his life. 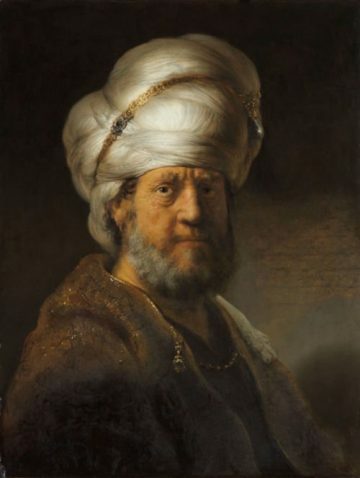 As a young man Rembrandt honed his craft by painting portraits of his mother, his family and acquaintances. He even made a powerful portrait of his wife Saskia as she lay ill in bed. The artist was also fascinated by the wider world around him: the beggars, the buskers, the vagrants, and the actors. He drew and painted countless portraits of the people he encountered. Rembrandt was a gifted storyteller, and his stories are at the heart of the last section of the exhibition. 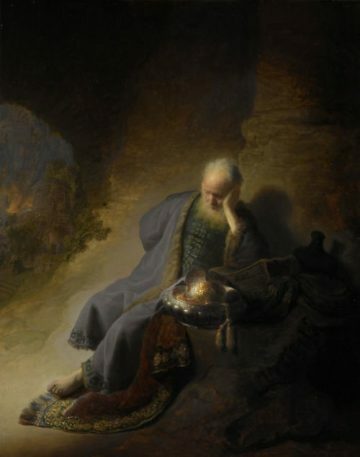 The Old Testament tales inspired Isaac and Rebecca (the alternative title for The Jewish Bride, c. 1665–1669) and Self-Portrait as the Apostle Paul (1661) in which he gives masterful expression to gestures and emotions that are familiar, tangible and intimate. 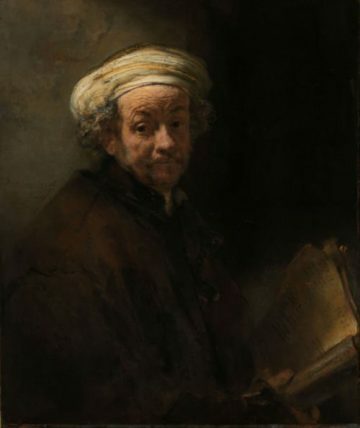 Early depictions of these tales tend to be delicate and refined; later in life Rembrandt used a coarser experimental technique, applying ingenious colour and light effects to further enhance the narrative and draw out its essence. 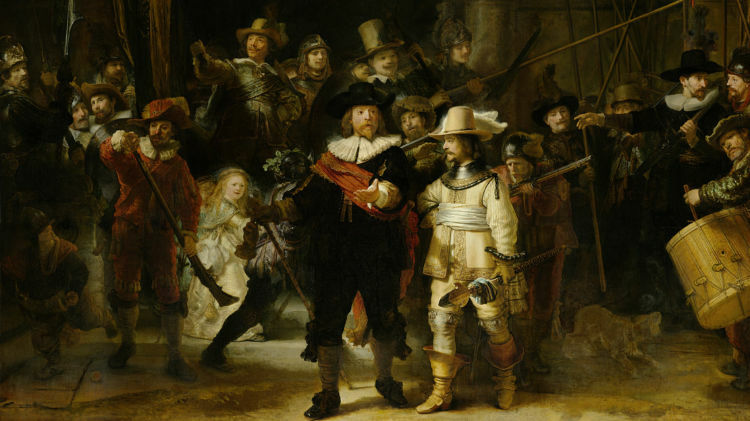 Following the Alle Rembrandts exhibition, the most famous Rembrandt painting – the Night Watch, or more correctly Militia Company of District II under the Command of Captain Frans Banninck Cocq – will be restored for the first time in four decades. The Night Watch will be encased in a state-of-the-art clear glass chamber designed by the French architect Jean Michel Wilmotte. This will ensure that the painting can remain on display for museum’s annual 2.2 million visitors. A digital platform will allow viewers from all over the world to follow the entire process online continuing the Rijksmuseum innovation in the digital field. 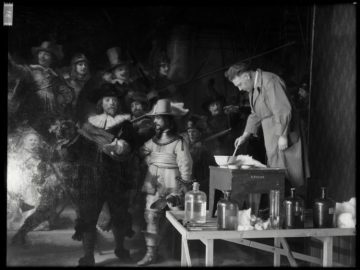 A great deal of experience has been gained in the Rijksmuseum relating to the restoration of Rembrandt’s paintings. Last year saw the completion of the restoration of Rembrandt’s spectacular portraits of Marten Soolmans and Oopjen Coppit. The research team working on The Night Watch is made up of researchers, conservators and restorers from the Rijksmuseum, which will conduct this research in close collaboration with museums and universities in the Netherlands and abroad. Towards the end of 2019, visitors to the Rijksmuseum will have another opportunity to enjoy Rembrandt paintings in a special context. The exhibition Rembrandt – Velázquez (11 October 2019 – 19 January 2020) will be a comprehensive overview of paintings by these two great masters of the 17th century. Details will be announced later but the Rijksmuseum is not known for doing these exhibitions halfheartedly. Admission to the All the Rembrandts exhibition will be included in the regular Rijksmuseum admission ticket but a time slot reservation is essential for admission to the special exhibition wing, which is €19 from 2019. Children under 18 enter for free (getting a free online ticket tends to speed things up). See Tips on Visiting the Rijksmuseum for details – top tip: visit first thing in the morning or late afternoon and avoid weekends and holiday periods. Tickets are available online directly from the Rijksmuseum or from resellers such as Tiqets (mobile phone tickets accepted). In contrast to normal Rijksmuseum practice, time-slot admission tickets will be available for the Alle Rembrandts exhibition.